Martos, Borys [Мартос, Борис], b 1 June 1879 in Horodyshche, Kremenchuk county, Poltava gubernia [see Horodyshche (Cherkasy region)], d 19 September 1977 in Union, New Jersey. (Photo: Borys Martos.) 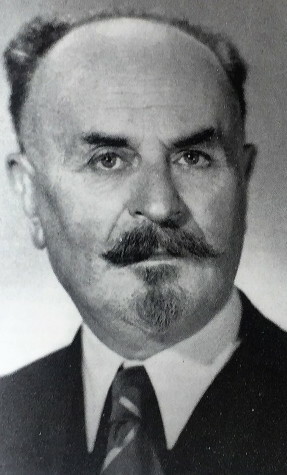 Political leader, co-operative organizer, and educator; full member of the Shevchenko Scientific Society from 1948. As a student at Kharkiv University he was active in the clandestine Ukrainian student hromada and collaborated with the Revolutionary Ukrainian party. For these activities he was arrested three times. In 1905 he joined the Ukrainian Social Democratic Workers' party and became involved in the revolutionary movement in Kharkiv and Liubotyn. He was not permitted to teach after graduating in 1908, so he worked as a co-operative instructor in Volhynia (1910–11), a financial director of the Black Sea–Kuban Railway Board, a director of the Kuban Co-operative Bank, and a co-operative inspector of the Poltava gubernia zemstvo (1913–17). During the revolutionary period he was a member of the Central Rada and the Little Rada and served on the General Secretariat of the Central Rada and then as deputy secretary of agrarian affairs. Under the Hetman government he retired from political life and devoted himself to the co-operative movement: he chaired the executive of the Central Ukrainian Co-operative Committee and the board of directors of Dniprosoiuz, lectured at the Kyiv Commercial Institute, and organized the Co-operative Institute in Kyiv. 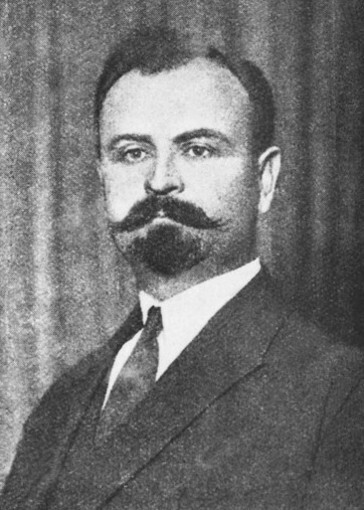 Under the Directory of the Ukrainian National Republic he served in Volodymyr Chekhivsky's cabinet as minister of food supplies and then as premier and finance minister (April–August 1919). In 1920 he emigrated, and eventually he settled in Prague, where he directed the co-operatives office of the Ukrainian Civic Committee in Czechoslovakia and founded the Society of Ukrainian Co-operative Leaders. He was one of the founders of and a professor (from 1924) at the Ukrainian Husbandry Academy and the director of the Ukrainian Technical and Husbandry Institute (1936–8). He was elected full member of the Institut pour les études cooperatives. After the Second World War he moved to Munich, where he was founder and rector of the Ukrainian Higher School of Economics (1945–9). A senior associate of the Institute for the Study of the USSR, he served as president (1954–6), vice-president (1956–7), and secretary (1957–8) of its Learned Council. In 1958 he emigrated to the United States, where he lectured for a time at the Ukrainian Technical Institute in New York. Among his numerous works on co-operation and contemporary history are Teoriia kooperatsiï (The Theory of Co-operation, 1924), Kooperatyvna reviziia (Co-operative Auditing, 1927), and Hroshi ukraïns’koï derzhavy (The Currency of the Ukrainian State, 1972, coauthor). A collection of Martos's articles and reminiscences about the Ukrainian national movement was published by the Shevchenko Scientific Society in 1989.